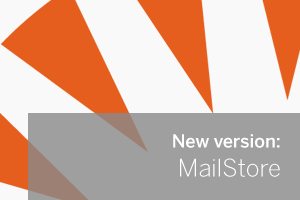 A new version of MailStore is now available and while it’s only a fair small update, it contains an important vulnerability patch concerning the MailStore Web Access, Mobile Web Access and Outlook Add-in. As always, full details can be found in the release notes and you’ll find the latest installer on the download page of our Web site. If you’ve got any questions please feel free to get in touch.